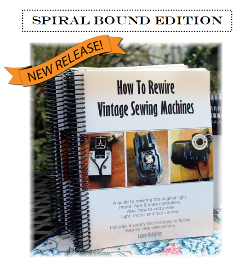 SPIRAL BOUND EDITION 'How to Rewire Vintage Sewing Machines is now available. Makes a great gift! Order your copy today.